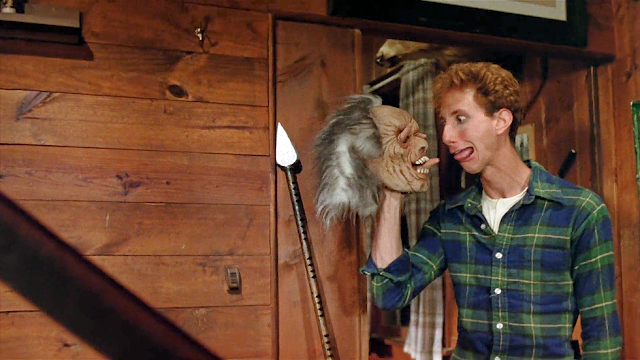 One of the most iconic scenes in the Friday The 13th films is the campfire tale that Paul Holt tells his counselors-in-training about Jason Voorhees in Friday The 13th Part 2. The conclusion of that scene has prankster Ted scare everyone around the fire by appearing suddenly from the trees wearing a "Jason" mask and threatening the counselors with a spear. The mask is scene on time later in the film when Ted places it on top of the spear, which he leans against the wall in the main cabin. Later, Jason discards the mask to use the spear to dispatch of the couple Jeff and Sandra. Why Jason didn't switch to that crazy mask from his sack mask will never be known? Ted's mask, called Fantome, was created by Be Something Studios and was something we wrote about a few years ago when it popped up in a mask collectors forum. The mask was discontinued in the early 90's during a company shake-up which saw the name change to Zagone Studios. Many collectors have spent a fair amount of money to track down and own the original mask or have replicas created. 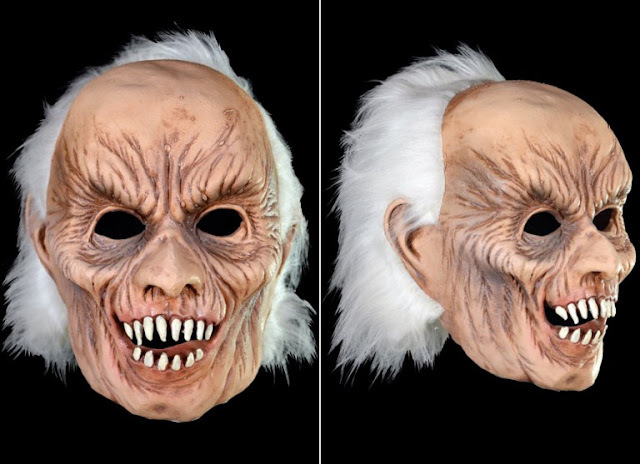 Now, however, the mask is making a comeback as Trick Or Treat Studios has partnered with Zagone to reproduce this classic 1980's mask. You can pre-order the mask now at www.trickortreatstudios.com to own a very unique mask from the films outside of the many variations of hockey masks. Will you be getting this historic mask? Thanks to Dread Central for the heads-up on this mask being released!